Although silver was removed from Dimes and Quarters in 1965, the Half Dollar was struck with a 40% silver alloy from 1965 through 1970. 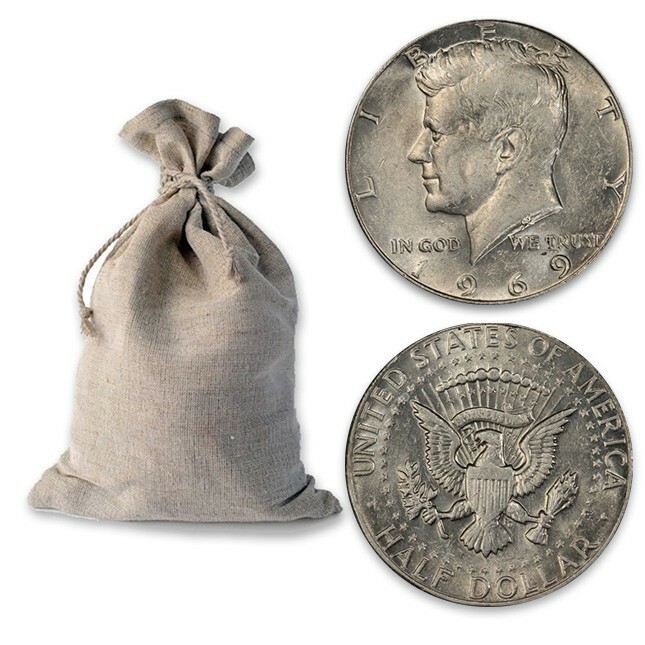 Each 40% silver Half Dollar contains 0.14792 oz of silver (the remainder of the coin's weight consists of copper nickel). 40% silver coins are a great way to own U.S. Government-issued silver at an extremely low premium. Just 39c per oz over spot!